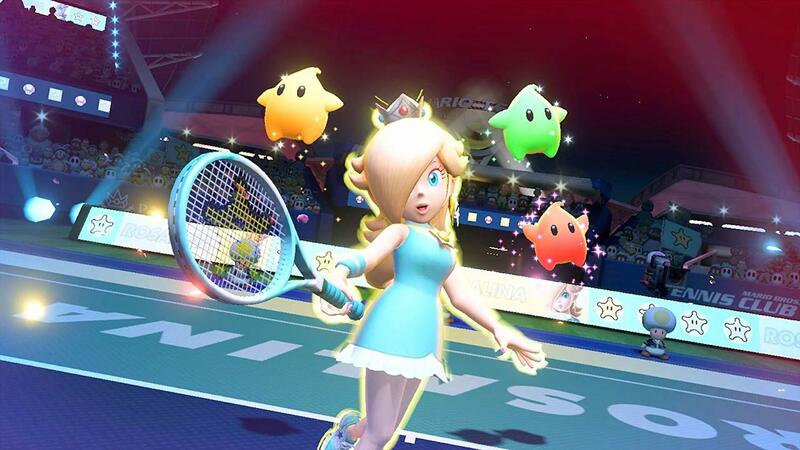 Nintendo and Camelot have released a new software update for Mario Tennis Aces, that sees the intense tennis game now on version 2.1.1. This has addressed multiple issues that were identified in the Online Tournament mode, such as not being able to upload results to player rankings, Doubles teams being unintentionally disbanded or which courts are randomly selected. Mario Tennis Aces is now available exclusively for Nintendo Switch worldwide. Fixed the issue of a doubles team being disbanded even though the player and their partner both choose “Continue Playing” when there’s a communication error with the opposing team under certain conditions in Doubles Class. If there’s a communication error with your doubles partner, then your team will be disbanded. Made it so that, in Doubles Class, a communication error or a match ending due to a player not serving and abandoning the game will result in a 1% rating decrease for the player that caused the error, but ratings for the other three players will remain what it was before the error occurred. Made adjustments so that tennis balls will not hit the chair near the court in Mirage Mansion. Planning to make adjustments to court visibility in future updates. Fixed the issue of a blackboard appearing behind P2 Petey Piranha on the results screen when two lefty Petey Piranhas are playing each other.